During the past 17 years, Todd Gensheimer has been competing in the Special Olympics New Jersey where he’s clinched more than 100 medals, competing since age 11, his mom Liz Gensheimer said. “He has three older brothers, and as a family we all ski. He’s very athletic, compassionate and fun loving,” his mom said. And he knows his sports! 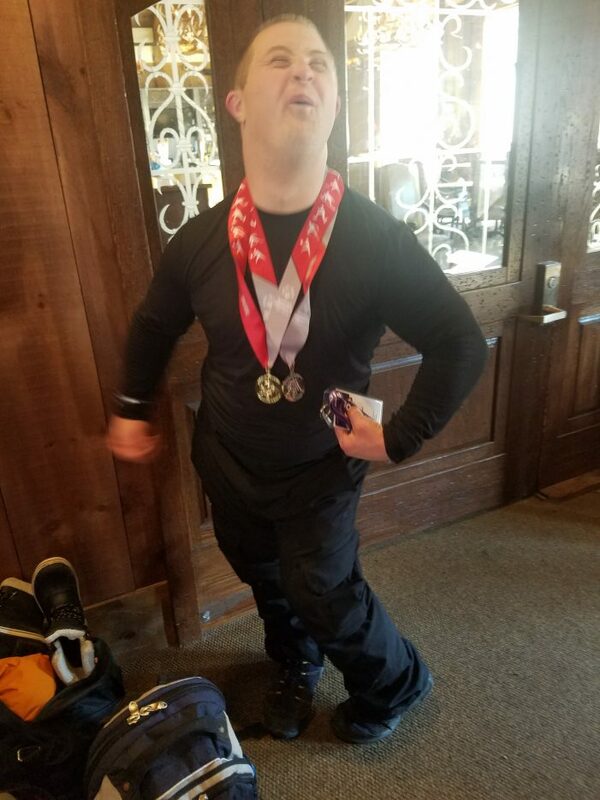 He trains six times either Saturday or Sunday at Shawnee Ski Resort in Pennsylvania, his mom said. “We always skied as a family, and once he was old enough, we thought it would be great exercise and fun.” They also visit the gym three to four times per week and that Todd works with a personal trainer for half an hour each week. 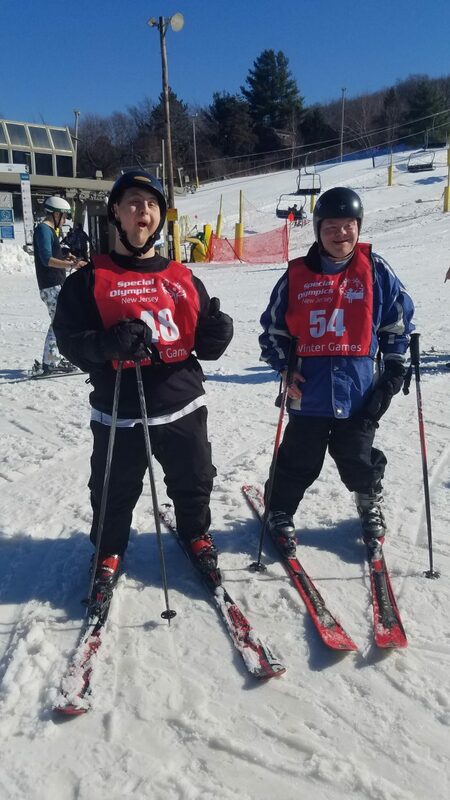 Gensheimer, of Budd Lake, competed in the Alpine Skiing event during the 2019 Special Olympics New Jersey Winter Games at Mountain Creek Tuesday. He won a Gold Medal in that competition —called super-G or super giant slalom, a racing form of alpine skiing — and a Silver Medal in the Giant Slalom. Each win is unique and special. “It’s always, ‘Wow, another medal!’” Gensheimer said of her son, who also swims and plays basketball. Gensheimer is also a major volunteer with Advancing Opportunities, based in Budd Lake, where he helps to instruct arts and crafts, dancing, and more. When he’s not competing, you’ll find him throughout the Budd Lake area with nothing short of a smile on his face. According to Liz Gensheimer, her son is affectionately known as the mayor of the Special Olympics. His positive outlook on life and happy go lucky nature have helped him to really live each day. Gensheimer recently took to the Polar Plunge to help raise money for the Special Olympics. Since its inception five years ago, Team Todd – Polar Bear Plunge for Special Olympics raised more than $66,000 and bears the motto “We Jump for Todd in Memory of Mark!” Gensheimer participated in the recent February 23 Plunge, which raised more than $12,000. Gensheimer will be competing again with the Special Olympics soon as the games for basketball and the meets for swimming will round out at the end of March.